This 0.18 carat Natural Fancy Intense Orange-Yellow diamond is extremely lively and radiates plenty of sparkle. The orange in this natural colored diamond makes this one even more rare and special. 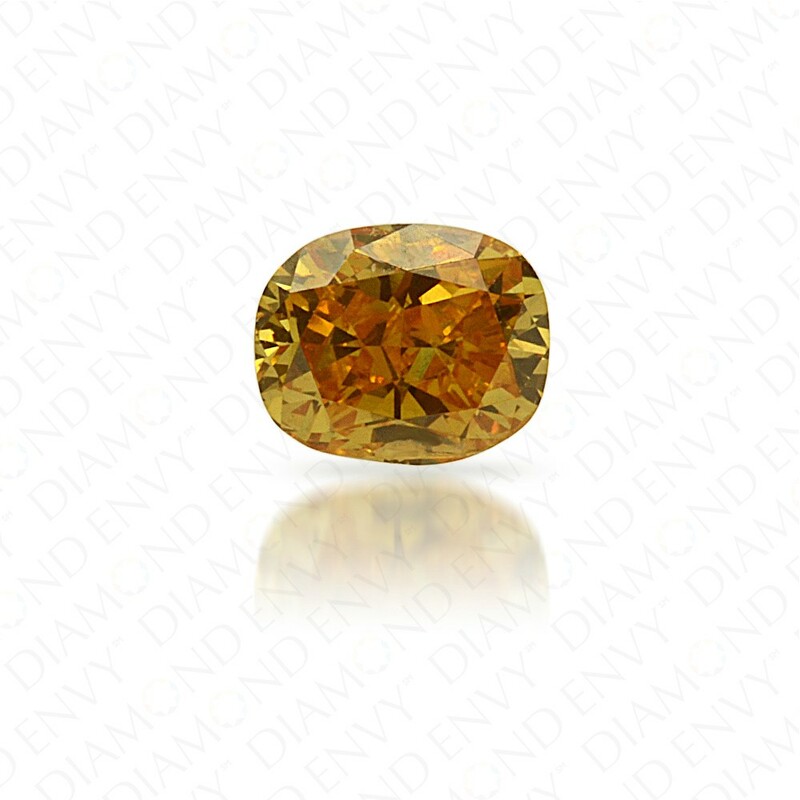 The natural orange-yellow diamond has a lovely eye-catching shape. 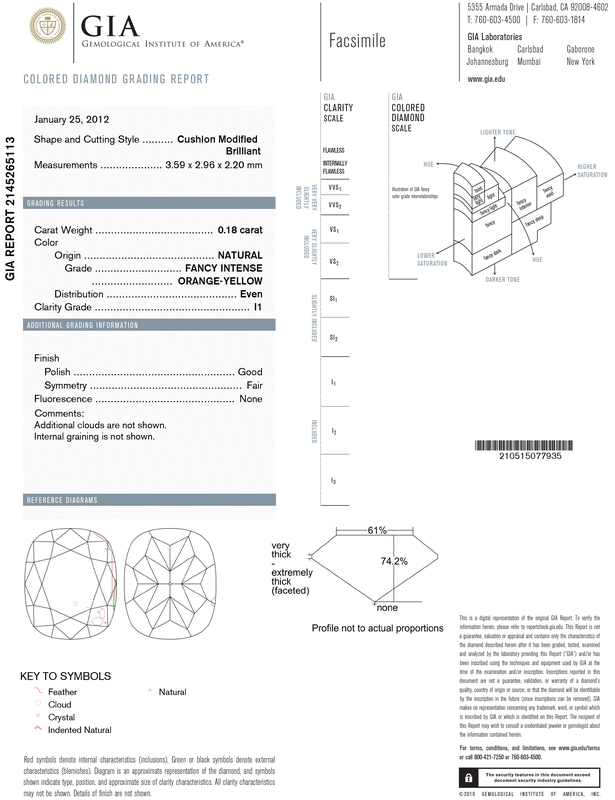 GIA-certified.